As world marks international interfaith harmony week, a Muslim woman, Hajiya Ramatu Tijjani, on Sunday, donated some Bibles translated in Hausa language to Christ Evangelical Intercessory Fellowship Ministry, Sabon Tasha, kaduna South, kaduna State, to strengthening religious tolerance. It Would be recalled that this very church had donate hundreds of Prayer mats and Plastic kettles to some mosques in kaduna state two weeks ago, aimed at strengthening peaceful co-existence among Christians and Muslims. Hajiya Ramatu, who arrived the church premises at 9:30am accompanied by her little son, Abdullahakim, said the World interfait harmony week, scheduled to be held between 1st -7th February, has began and there is the need to start the week by donating importance gifts, sharing love, unity, visiting one another at their places of worship to encouraging togetherness irrespective of faith organization. She said the interfaith harmony week celebrates the principles of tolerance and respect for the other that are deeply rooted in the world’s major religious and that is why the United Nations declared and dedicate first week of this month to promote all activities that encourage and enhance religious activities and tolerance. According to her, Christians are my brothers and sisters and as a Muslim, I love visiting them, because both religions preach peace and tolerance, and we have to learn to forgive and forget others mistakes to make our country great and reunite the communities through good teachings of the holy Books. She back-spaced the effects of the ethno-religious and political crises in the state some years back that claims hundreds of live and property as economy setback including separation of communities; Muslims live in Northern region while Christians live from the Southern part of the state. She then called on state and federal government, Non governmental organizations (NGOs) and civil society organization and Human Right, traditional Rulers and youth organizations to support the spread of inter-faith harmony and good will in the world’s Churches, Mosques, Synagogues,Temples and other places of worship on a voluntary basis and according to their own religious tradition or conviction. 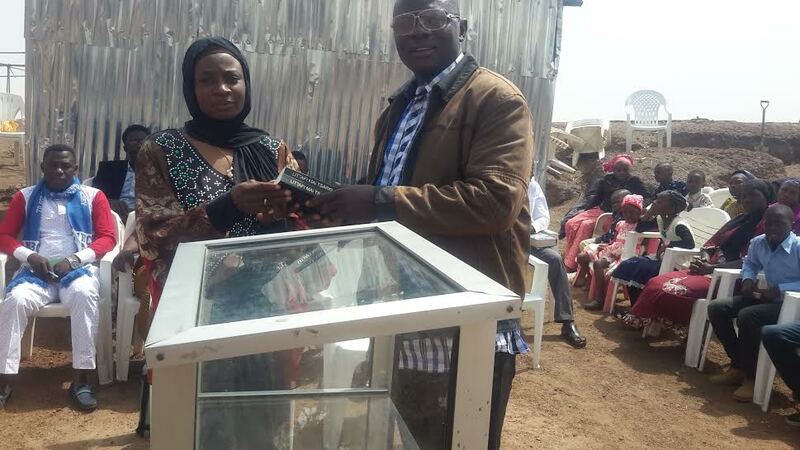 Receiving the Bibles, the General-Overseer of the Church, Pastor Yohanna buru, appealed to Nigerians to learn how to tolerate, accommodate and live in peace with one another so as to make the country great as it used to be in the past, saying the church really appreciate her Gift and the kind gesture. Pastor Buru however appealed to all citizens to shun all forms of ethno-religious and political crises, causing great set-back and damages to the nation and to embrace peace, noting that it is high time for all preachers to redoubled efforts in teaching their followers the right ways and obey the teaching of the holy books so as to end the activities of religion extremists.